Captain’s log: In my time zone, it is now March 24, 2013, 00:16. This is the 63rd post on this blog, a truly random number. But the title shows off that I can make sense of it and unveil its secret meaning. The short name of this blog is ‘elkement’. Search for this on Google and you will be asked: Did you mean element? So I need to stick to my stretch goal: Making elkement a household name. Search engines should rather ask Did you mean ‘elkement’? when searchers ask for element. But I am The Subversive El(k)ement and blogging is about authenticity and integrity – or about playing with identity ⛔ a bit, maybe. So I am using my ‘real’ nickname. This blog’s site title ‘Theory and <…>’ is incredibly looooooong. I thank anybody who ever added this to a blogroll or other list of blogs as my blog title usually introduces a pesky line break. I needed to have the theme Garland, absolutely, positively. However, Garland does not display the blog’s tagline. So I needed to make the title an effective tagline. The real tagline, by the way, is: The Subversive El(k)ement’s Random Thoughts. This blog covers a very peculiar variety of different topics – from experimental search term poetry to the history of physics. The only intersection between all these topics is me, and I am really serious about combining anything. Many of my posts are long-winded. Thus the site title should be in line with that (managing readers’ expectations). Before this post becomes too weird and too self-referential, I am shamelessly stealing The Curtain Raiser’s idea: I will rather link to blogs I really enjoyed following in the past year and which have inspired my own blogging considerably. It is really hard to pick a subset of the – much larger – list of blog I actually do follow. I limit myself to 12 blogs which is not an easy task. But I cannot avoid navel-gazing nonetheless: In parallel to this blog, I am resurrecting my non-blog websites and I have turned from social media denier to addict. The main thing I learned from this was that social media and the web in general is an experimental playground, and I am enjoying to make strange connections and cross-overs between different virtual universes. So I will attempt to loosely connect my blogging experience and my favorite blogs. Blogs are ordered by the date I followed them (ascending). This is my fist blog with ads so to speak – context-sensitive ads. Just in case this is not self-explanatory: The link to the other blogs are the ads, links to my own stuff are considered content. The two of them are entangled – as the photons in quantum cryptography – and I guess I am doing much better here than any other website that makes it too easy to ignore the ads and focus on the content – or vice versa. I deny all SEO and blogging good practices again – there is too much text and there are too much links. This blog of mine morphed from very serious and wall-of-text-y posts to downright weird ones. As a former member of the Cult of Corporate, I need metrics and benchmarks, also with respect to weirdness and sublime-ness. I can safely say Mark Sackler scores higher on both and I keep his quote that my resume reads like a character from The Big Bang Theory as a badge of honor (Seems I have launched a pingback DoS attack against this page). Right now – when preparing this post, on March 23 and checking this paragraph again – the notification on Mark’s latest masterpiece is delivered to my inbox, about his dream of working in an infinite office building with an infinite number of floors – every floor representing an alternate universe. Dilbert meeting Hilbert, I would say. Please let me know if some links are broken in this article. As Marc(*) Mark noted in a comment (on a post on search term poetry of course), I am OCD, but getting all these links right is probably too much, even for me. (*) Edit: Please see the comments for more enlightening explanations. Austria is very often mistaken for Australia. So I had actually expected that the first comment on this blog (other than my own pingbacking) would come from an Australian blogger. As mentioned above, I am stealing The Curtain Raiser’s award-winning blogging strategies. On her blog she has raised the curtain in the past year which might have motivated me to do that as well in the middle of what I called a leap of faith. Judy manages to let blogging appear easy, even if embarking on a daunting task as an A-Z blogging challenge. But I suspect she manages her bloggiverse like a forward-looking MBA and manager because Judy knows a lot about the intracacies of the corporate, strategic use of CC e-mails for example. My hopes for inventing something groundbreaking or unlocking the secrets of the universe as a scientist and engineers have been shattered – until I started a global movement and founded the Cult of Search Term Poetry. Though the illusionary bubble of having been the inventor of spam poetry had been punctured, the movement of ‘experimental art from the trash other people leave on the net’ (suggestions for better tags welcome!) has been professionalized ⛔ and hashtagged by Alex. We should all answer our searchers’ questions ⛔. Alex is pi-lingual ⛔ and thus well-versed in finding worm-hole-like connections between, say, pies, math, stones, date writing conventions, and The Bloodhoud Gang. (What will this post do to my search terms? Looking forward to my next Search Term Poem). Dan’s blog has been a true Time Machine ⛔ for me. Thanks to his thoughtful posts on the Cult of Academia ⛔ I felt the need to travel back in time and re-live (is this a word? Like re-tweet or re-blog?) my own leaving of academia. Above all, his posts probably motivated the Geeky Turn in my blogging despite or because Dan is a philosopher. My reply to his bestowing a blog award to me, marks this turn – as ground-breaking as the as the Linguistic Turn in philosophy, triggered by Wittgenstein, I think. If you are interesting in alternative careers in philosophy and/or ‘Life, the Universe and Everything’ versus ‘The Economy’ / ‘The Job Market’, don’t miss his Podcast episodes ⛔. I am reading (browsing, skimming) too many geek and science websites and I am guilty of getting carried away by the fascination of quantum / cyber / nano / bionic / cloud computing etc. Peter’s blog is what an excellent History of Science blog should be like: Focussed on a single topic that is not known too popular (in terms of inflationary re-sharing the same stories on social webs over and over), and it is well researched. It is fascinating how difficult it is to understand so-called simply basics written in the language of a previous scientific paradigm. I sometimes dabbled in classical thermodynamics as well, but I cannot resist the geeky touch even here: My post on The First Heat Pump has become a honey pot for heat pump spam. I failed the Turing test by seriously starting to discuss with the first spammer. I am an avid outbound linker – I do not need (another) link to an older post of mine to prove this, just look at the current one. Bert manages to develop something like his natural philosophy without the need of outbound links, trying to understand who he is – in a way that involves a language that lingers on the edge of geekiness sometimes (using terms as interrupt, operator and connector). But ‘natural philosophy’ is probably too much of a tag already, as well as ‘geek’, and Bert refuses being tagged. I seem to enjoy being tagged or like tagging myself as a physicist, geek, engineer – to the extreme of becoming cliché or a living cartoon of the physicist-philosopher-engineer. Many Worlds Theory – In one universe, this blog is about quantum mechanics. In another universe, it is not. In the universe the wave function is collapsing into right now (This is a sloppy statement – please read Matthew’s post on Many Worlds Theory) it is definitely a a first-class blog on explaining physics. Matthew proves that you can use metaphors to explain physics that make sense, such as the economics of children buying ice cream. Understanding physics is a pet topic of mine as well and I want to thank my readers again who really read my articles on gyroscopes and the Coriolis force. In particular, I enjoyed Matthew’s posts on Pseudoscience – a another pet topic of mine, though I only wrote about fringe science once last year. Recently he challenged his readers with his unbelievably low Google number. I am still trying to craft a two words Google search phrase that will hit my blog. Gone are the days when The Subversive Element used to have a Google number of 1 (actually: ‘Google-Zahl’ according to Matthew’s definition) in German speaking countries with subversiv.at. Did I mention my blogs are walls of texts and I need to force myself to 1) shorten them and 2) add images? Since this is my bloggiversary I don’t care. But I do want to endorse Kelly’s blog and aphorisms – please stand in awe of the art of saying to much with a few words. A blog about the interaction of virtual ⛔ and real spaces and landscapes with yourself – probably better spelled as Your Self for that matter. This blog defines a class of its own, yet I would like to tag it with to-be-defined-tag that relates to to great pieces of ‘Web Philosophy’, such as David Weinberger’s Small Pieces Loosely Joined – despite or because the blog is mainly about the real space of Saskatchewan. I can relate to her blog in so many ways, I am at a loss where to start. You put yourself into a context, an environment you have selected by applying some rationale. You believe you know your (rational) selection criteria. But probably you want to expose yourself to the challenge of interacting with this environment, and you want to learn about your own reactions. If I needed to bestow a blogging award today, it would most likely go to Michelle. I learned a lot about the history of the settlers who build their sod houses.⛔. It were the settlers’ stories and Michelle’s questions on the viability of the heat pump systems described in a surprisingly down-to-earth blog post of mine that triggered the very first cross-over between this blog and our German blog (Is there a name for such a cross-over? This is as like: Grey’s Anatomy and Private Practice are exchanging staff). In this blog – which is actually a business blog though fortunately this is most likely not at all obvious – we call ourselves The Settlers who tell stories about energy and physics. In this post I tried to explain if the system could work in Canada and what the limitations are, very similar to my reply to the comment. Recently I have realized that I have been a teacher and a student – at least part-time – for most of my life. It might be that obvious, but one of the main drivers for starting this blog was to ponder about formal learning and intuitive understanding. I call myself a dilettante science blogger and I have ambiguous feelings about popular science. Maurice’s blog, and in particular his great series of blog posts on distance education in Newfoundland and Labrador provided me with new insights – not too mention those impressive images of NL’s coast line seen from a helicopter. I was stunned by the fact how ‘distance education’ had been done by Canadian pioneers long before ‘massive open online courses’ became a big hype. His stories of applying high-tech tools in a very down-to-earth fashion, serving local communities of people inhabiting a sparsely populated country … simply resonated with me. Since Dan ⛔ and Michelle ⛔a re also from Canada, I tend to bestow my blogging country award to Canada! My blog might give proof of lots of inconsistencies and ambiguities; the site site should already indicate this. I am geeky nerd on the one hand, living in an interconnected world – very close to a mind uploaded to a global computer. On the other hand, I am striving for a sustainanable, down-to-earth live style. postmoderndonkey’s narratives on farming, titled The Zenvironmental Journey, speak to me. I am quoting the last paragraph of his most recent post. You in your labors are a perfect machine and it is not a moment to be missed that you are aware of the forces within you supporting each of your movements. This is the human you need to be sometimes, the one so unified with nature, so organic. Get wet with sweat, tears and fish water and let it remind you of the connection you and all things share. I am not a photographer and I am happy that commons.wikimedia.org exists. The more I admire if somebody is able to capture the essence of a moment in an image AND is able to craft a story related to it, or provide some – entertaining – facts about agriculture. Isn’t this car just about coming to live? I am particularly intrigued by the restoration of ancient technology, such as a water pump and a spinning wheel. If I had to bestow an award for the best blog name, it would go to Pairodox Farm – check out the explanation! 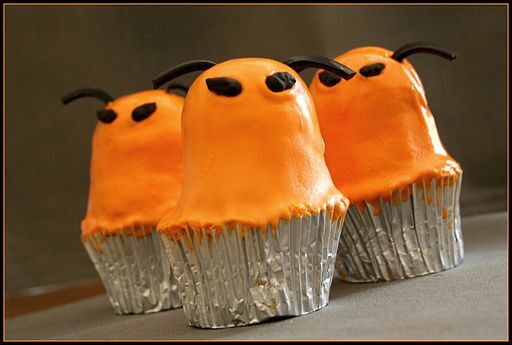 … encouraging you to have a cup of coffee and an alien cup cake now! Re coffee: The coffee reduction initiative went fine for while – until I fell ill two weeks ago and tried to use coffee first (to keep up working) before falling back on pharmaceuticals. Now the alien creatures in my bronchial tubes have been defeated and I need to convince myself I do not require coffee any more. Captain’s log: In my time zone, it is now March 24, 2013, 00:23. I have launched a severe pingback DoS attack against my blog (and a mild one against your blogs), but WordPress.com still seems to run fine. This entry was posted in Life the Universe and Everything, Web and tagged About, Anniversary, Blogging, Blogroll, Blogs, Geek, Metrics, Random Thoughts, Weird by elkement. Bookmark the permalink. I was away the past few days, but looking forward to your promised anniversary post. I’m delighted with all the wonderful things you said about Play. Your blog and our “conversations” have shifted my thinking, and I’m always excited to be challenged your next post. Thanks for sharing Dan’s blog in an earlier conversation; The Unemployed Philosopher blog is great and can’t wait to read more… thus, I’m delighted that you shared nine other new-to-me blogs. Can’t wait! Congratuations on reaching 1 year. Thanks, Michelle! Your blog had an impact on my thinking, too! When compiling this list I tried to recapture how I found these blogs. As far as I remember, I stumbled upon each of them accidentally; I never searched for anything. This is quite different from work which is based on very focussed research. I might post a more serious analysis of my first year of blogging and social media endeavors! Dan’s blog was once “Freshly Pressed” – I have now searched for this particular post as I am pretty sure that you would enjoy it: It’s called Wide Open Spaces and – lo and behold – contains a photo of Saskachewan! I could not remember that detail! Oh that’s excellent, both Dan’s quote on the sublime and the way serendipity can work by bringing people and ideas into intersections with each other. Thank you so much for adding my blog to your list; I am flattered that your mind enjoys my aphorisms! Thanks, Kelly! I really enjoying making contact with bloggers from another universe in the blogosphere, such as artists! Our universes seem to have more in common that i had expected! Thanks, Dave! All your expectations lay heavy on me 😉 I will try my best! Ha – I have misspelled ‘dose’ (as ‘doze’). Wondering what a doze of creativity might be – getting ideas while you sleep? Thanks, Peter! I am looking forward to your upcoming posts! Oooops, sorry! I have corrected it while preserving history (using the strike tag). There is some quantum-like uncertainty because I got it right with 75% probability – and I have an explanation of course: I have just finished reading a German thriller on a two weeks blackout of our power system, initiated by hacked smart meters. The author’s name is Marc Elsberg. I would say the so-called perfect AI software bot has some imperfections built it – to make it even more human. Happy Anniversary! I’m honored to be among the blogs you’ve enjoyed. Also, thanks for drawing my attention to some of your other favorite blogs! I’ll have to check them out. Thanks Dan! It was hard to select a subset of blogs – I pondered on that for hours! Now I feel like a company that had sent of a Request for Proposal and now feels sorry about all the vendors that have not been selected. But that your blog has to be on list was clear to me from the beginning!! Award winning blogging strategies, love it, thank you :). Not sure about award winning, but my blog is my little experimental station.Congrats on this milestone and for pumping out wonderfully original material. There are not too many people out there with a fantastic mind and matching off the wall sense of humour . A combination I find intriguing and appealing and why I enjoy your work. Here’s to another year Elke. May we continue to swap quips, stories and geography lessons in cybrespace for a long time to come. I hope I will be able to meet expectations in the following year! Congratulations for 1 year of blogging. If I were 20 years younger I would go through all the physics again just to understand everything in your blog, even the once problematic thermodynamics. I think thermo was not the problem but the transfer from teacher to ignoramus. My bookshelf is still divided by level, and physics, i.e. stellar physics, cosmology, string theory and things alike are its foundation. When I teach sysadmin, somewhere around day 3 I counter the terms geek and nerd. Geeks are sometimes people who learn the klingon language just before going to a startrek convention, while I develop my own terminology on mind and have not been to any convention yet. The way you develop your terminology is great – and better to understand than my jumping between different subjects in physics, I guess. Thanks Mark! Isn’t it time for a new paradigm – shouldn’t 42 be superseded by another number? Probably the answer to all questions is now 43? Or something totally different such as an empty HTML tag? Of course my expectations on your take on 42 are very high! I would suppose you setup a poll on your blog again!! Please schedule the deadline European-timezones-friendly – then I am again prepared to vote for 100s of times! At the rate I am going, though, that won’t be until the fall of 2014.